My Carolina reapers, coming in fast and furious. Due to circumstances beyond my control, I’m now growing the hottest chili known to man. My brother, Richie, a tattooed chef with a healthy interest in extreme heat, came to visit this spring bearing gifts. He brought me seedlings. One was a chile de árbol, a semi-hot long Mexican pepper often seen dried and hanging in braids in Mexican restaurants. The other was a Carolina reaper, the hottest chili on the planet, with a Scoville heat unit of 1,569,300, which is 500 times hotter than Tabasco and more potent than the pure pepper spray I once carried around to scare off potential rapists. Both of the plants have been thriving on my sunny deck, growing strong, shiny chilies, some, just now, turning red. I’ve been both excited and terrified by the reapers, so of course with my first ripe one I had to give it a go by making a batch of harissa, the Moroccan hot sauce used on many couscous dishes. I wasn’t sure how to proceed with the ugly, lumpy flamer, so I began cautiously, thinking I’d mix one reaper with four sweet red bells. I wanted a fresh sauce, so I didn’t roast the peppers or add any dried ones. I was afraid to chop my reaper, so I just dumped everything in the food processor for a preliminary grind. With every pulse of the blade my eyes, lips, and cheeks burned warmer and warmer. A pink rash came up on my neck. But I carried on. Then onto the stove it all went. Since I wanted it to stay red, the entire cooking took only about 10 minutes. I added some of my usual Moroccan spices—cinnamon, cumin, ginger, and coriander—which I could smell clearly and sweetly in the pot even as my eyes watered and my neck burned from the steam. I then let the pepper mass rest before giving it a good purée. When I finally got around to tasting my harissa, the power of the grim reaper knocked me out. It was the devil himself. I would say it was definitely the hottest thing I had ever tasted. Must husband wouldn’t go near it. A little dab in a couscous dish was about all I could take. But I liked the concept, so I made it again, the same recipe but using a red Scotch bonnet, plenty hot in its own right, in place of the reaper. That turned out more manageable, still incendiary but with an improved balance of sweet spice and heat, more in keeping with Moroccan style. If you try this recipe, go with your heart, not your hipster head. Try a Carolina reaper if you dare, or a ghost pepper, only a notch of two milder. I really liked the Scotch bonnet, but a habanero, which is related to the bonnet, still has good heat yet won’t blister your sinuses. A red jalapeño will produce a gentler result. You might want to use two of them. I’m not sure what I’m going to do with all my Carolina reapers clustered on their vines and getting riper by the day. I’m thinking about putting a basket of them out on my yard, with a sign reading 50 cents each, consume at your own peril, or possibly giving them away to the local bikers. Or maybe some Brooklynites will pass through town and buy them up. Put the bell peppers and the hot one in a food processor (wear gloves if you’re dealing with a reaper or a ghost). Add the garlic. Give it a few good pulses to give everything a uniform, medium chop. Heat the olive oil in a large sauté pan over medium flame. Add the peppers, and season with salt, all the spices, and the sugar. Sauté until everything is soft and fragrant. If you’re using a reaper or a ghost, you may want to pull your face away from the steam. Seriously. Let simmer for about 5 minutes or so. Now add the vinegar and a splash of water to loosen it up. Cook for another 3 or 4 minutes. Let cool for about 30 minutes. Now put the pepper mix back into the food processor, and work it until it’s fairly smooth, adding a little water if it’s too thick. Taste for seasoning. If it’s crazy hot, you can always add more sweet peppers. It will last about two weeks refrigerated. A beautiful story and photo. You should be paid to eat that pepper. Ciao bella- takng out the seeds is probably a simple thing to do to the reaper! my friend in Tuscany raises them and dries them and turns to dust. easier to add tiny amounts. https://www.piccantino.it/peperita/kit-carolina-reaper?gclid=CjwKCAjwxJnNBRAMEiwA8X_-Qey0AppC12MIv8DrJbS547BsTbfayRfoM93eI705no2E1QTa2rs7cRoCmdkQAvD_BwE her salts are also one of my favorite. Dry them, carefully grind them and then sprinkle around plants and vegetables in your garden if critters attack those plants. Judy, Yes, I was going to do that, but I was scared of them. This weekend I’ll seed a few and dry them. And I’ll check out your friend’s site. Thanks. I’ve seen some commercial products that contain different types of capsicum, specifically sold as critter repellants. Tried one once, and it didn’t work. I’ve used some Korean gochugaru and that has actually been worked. 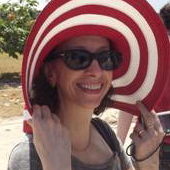 I am a chef, food writer, and teacher who specializes in improvisational Italian cooking. I am the author of The Flavors of Southern Italy and Pasta Improvvisata, as well as Williams-Sonoma Pasta, which is available at Williams-Sonoma stores. A member of the Association of Culinary Professionals and the Italian-based International Slow Food Movement, I live in New York City. I offer private cooking classes, which you can learn about here. For more about me, see About Erica De Mane. 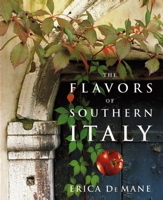 Buy a copy of The Flavors of Southern Italy. Buy a copy of Pasta Improvvisata. Buy a copy of Williams-Sonoma Pasta. 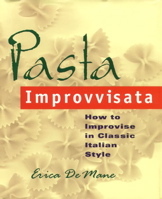 Buy an e-copy of the book formerly known as Pasta Improvvisata. I give private cooking classes. Click here to learn more. Enter your e-mail address to subscribe to this blog and receive notifications of new posts by e-mail. If you would like to make a contribution to support this website, please click below. Thank you! My favorite olive oil: Ravida, from Menfi, Sicily. Buy it here. My favorite online gourmet store: Gustiamo.com. Visit it here.